Former Gambino Family Underboss Sammy "The Bull" Gravano, who set his own young son and daughter up in drug trafficking, has beaten the last case he will likely ever be charged with, that of the 1980 murder of New York City Police Officer Peter Calabro. When, in 1991 Gravano ‘flipped’ and agreed to testify against Gambino Godfather John Gotti, Gravano confessed to 19 murders, including the 1985 rubout of Godfather Paul Castellano that elevated Gotti to crime boss. However, in 2001 "Iceman" Richard Kuklinski appeared on an HBO Special during which he claimed he had been hired by Gravano to murder Officer Calabro. Some investigators believed that Gravano had conveniently forgotten to tell the Feds about this murder, fearing that the law enforcement community would bring pressure upon the Judge in Gravano’s case to give Gravano a much longer sentence than the 5 years he would eventually be granted. However, Gravano was adamant that he had nothing to do with Calabro’s murder. Kuklinski’s claims to have murdered over 100 people, which, if true, would easily make him the most prolific serial killer in American history, prompted some in law enforcement and the Media to conclude he was both a murderer and an exaggerator. 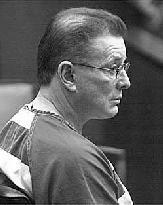 Thus, many following this case never believed Gravano would be convicted and that possibility has now been removed given that the "Iceman," as Kuklinski was known, for sometimes freezing his murder victims so that a subsequent medical examination would not be able to determine the time of death, has now himself died. Kuklinski was 70 years old this month when he passed away to his reward at a New Jersey hospital. The Bergen County Prosecutor’s office then announced that they would not go forward with the case against Gravano. However, this may not be the last the public has ever seen of Sammy Gravano. Last year, just two days after Prosecutors failed to obtain a conviction against John "Junior" Gotti on charges including the 1992 shooting of talk show host Curtis Sliwa, Federal Prosecutors in Brooklyn filed murder charges against a reputed Gambino captain that ultimately may be aimed towards Gotti. Dominick ‘Skinny Dom’ Pizzonia has been charged with the murders of Thomas and Rosemary Uva, a pair of thieves who had the audacity to rob Gambino and Bonanno Mafia Family social clubs, crimes which, for obvious reasons, never got reported to the cops. Dubbed "Bonnie and Clyde" by incredulous wiseguys, the fearless duo who appeared to have a death wish were gunned down in their getaway car on a New York street on Christmas Eve, 1992. At his arraignment in Brooklyn Federal Court Dominick Pizzonia pleaded Not Guilty.Seasoned Mafia experts believe that the Feds seek to convict Pizzonia in the hopes that he could subsequently implicate Junior Gotti in ordering the murders of the Uva couple. The theory that Junior Gotti was involved in the Uva murders gained momentum in 2003, when Bonanno Family Underboss Salvatore Vitale ‘flipped’ and became a co-operating witness. According to Court filings, Junior Gotti allegedly met with Vitale and Bonanno Godfather Joseph Massino, during which Gotti took credit on behalf of his Family for the murders. After Vitale told this story to the Feds, something unprecedented occurred; the Feds charged Massino with an eighth murder, for which they would seek the Death Penalty. In February, 2006 both Junior Gotti and Vincent "Vinny Gorgeous" Basciano went on Federal trial, in Manhattan and Brooklyn, respectively. Michael "Mikey Scars" DiLeonardo created a sensation in Manhattan Federal Court when he alleged that Junior Gotti and his father both had girlfriends while married and that Godfather Gotti had sired a ‘love child.’ However, in the trial of Vincent Basciano, accused of a single murder, mob experts were disappointed when it was revealed at the last minute that former Bonanno Family Godfather Joseph Massino, the only Godfather to have ever ‘flipped’ and worn a wire on members of his own family as a co-operating witness for the Feds, would not be called as a Prosecution Witness. Instead, the Feds would rely upon the testimony of Massino’s brother-in-law Salvatore Vitale, who testified in Massino’s trial in 2004 in which he was convicted of 7 Mafia murders. The allegations of Vitale regarding Junior’s alleged role in the Uva murders has supposedly been corroborated by Massino as well as by ‘Mikey Scars’ DiLeonardo. The murder charges against Pizzonia, however, were brought in Brooklyn Federal Court by one of the same Prosecutors going after accused ‘Mafia Cops’ Steven Caracappa and Lou Eppolito. Junior Gotti’s former attorney Marc Fernish was unimpressed with these new developments. "File this under ‘ancient history,’" he told AmericanMafia.com last year. "The government knows full well there’s no evidence linking John to this stale crime from the early 1990s. Otherwise, they would have indicted him for it long ago. Indeed, as we said in open Court, John flatly rejected a plea offer including the Uva murders because he’s absolutely innocent of the crime." 11. Frank De Cicco, who was meeting with Castellano for dinner at Spark’s Steak House. Years later, however, the Feds would claim that Gravano was mistaken as to the identity of back up shooter Iggy Alogna, and that instead that person was Dominick Pizzonia. Thus, Sammy Gravano could one day once again testify as a witness in a trial in which John "Junior" Gotti is accused of the murders of Thomas and Rosemary Uva. The only question is whether Gravano would testify for the Prosecution, claiming he was mistaken in identifying Iggy Alogna as a Castellano murder conspirator and was now convinced that that person was instead Dominick Pizzonia, or would Gravano stick to his original story. Sticking to his original story will not incur any favor on the part of the Feds towards their one-time star witness. Testifying as to how Junior Gotti was allegedly a conspirator in the Uva murders, however, could instead procure an unprecedented second "get-out-of-jail-free-card" for Gravano, who is currently serving a 20-year sentence for setting up his own young son and daughter in a drug trafficking scheme, a crime, it should be noted, was not detected by the FBI, which originally obtained for Gravano his 5-year sentence, but rather by agents of the Drug Enforcement Administration and State authorities. Thus, as in the case of Gambino Godfather John Gotti, the Fate of his son "Junior" may depend on the word of the treacherous former Underboss of the Family, Sammy "The Bull" Gravano.